We came into London as Auntie Caca was on her way back home and thought we would go and have some fun at the London Transport Museum. They always run really good events during the summer so we knew we would find lots to do. The children wanted to do the Stamper trail which involves collecting a large green ticket and running around the museum collecting 13 stamps at various points. They love to do this and we’ve been so often I always think they will remember where each station is, but they never do. 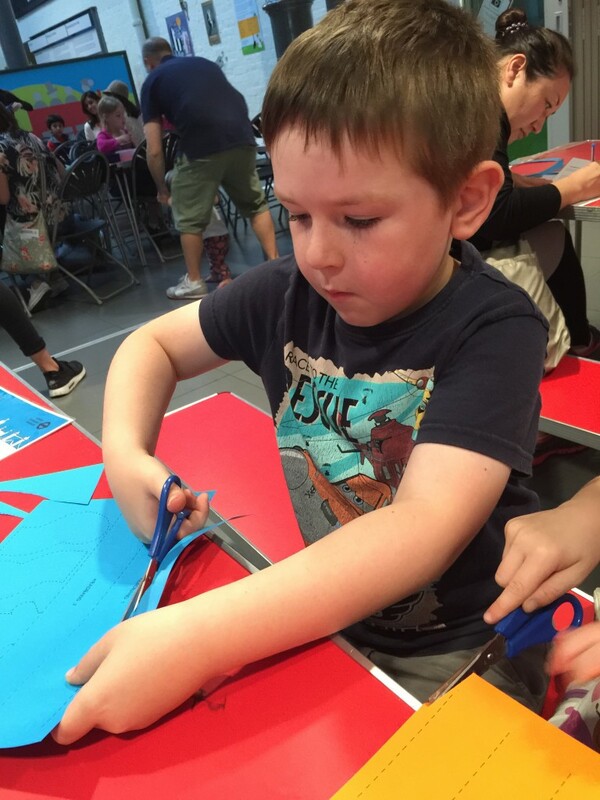 The Stamper trail is also a great way to ensure you see the whole museum and as we were going round we noticed that a craft session was about to start. Crafting is our favourite thing so we headed over to the Creative Make and Take Workshop. 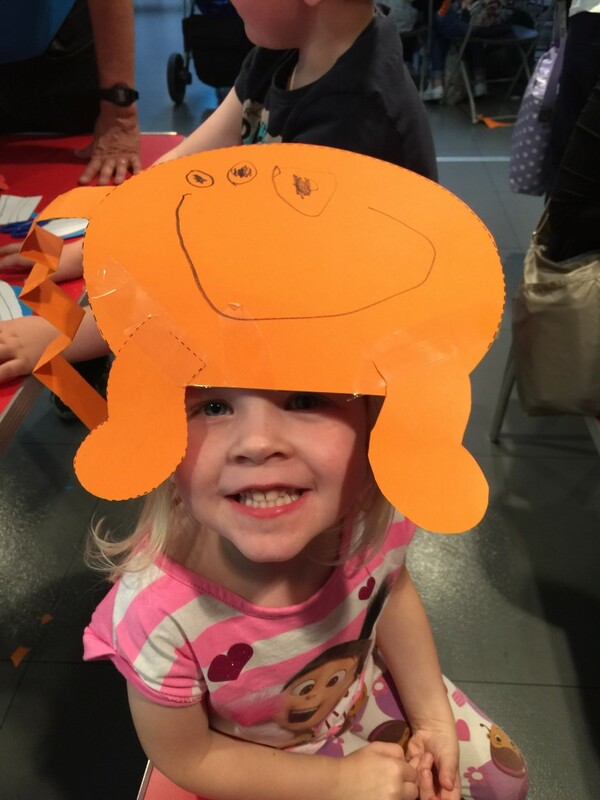 Inspired by the Mr. Men in London book we were able to make our own Mr Men hats. The volunteers were really helpful and Mr Big Brother and Miss Little Sis soon made their own hats with the help of lots of sticky tape. They were both really good at cutting out the different parts and Big Brother even made some bandages for his Mr. Bump hat. They loved their hats and were happy to wear them around the Museum and all the way home. The Museum is also running a fun Mr Men trail through the Museum which we reviewed earlier this year. More information about family events at the London Transport Museum can be found on their website. Kids go free but adult admission costs £16 which gives free entry for a year.